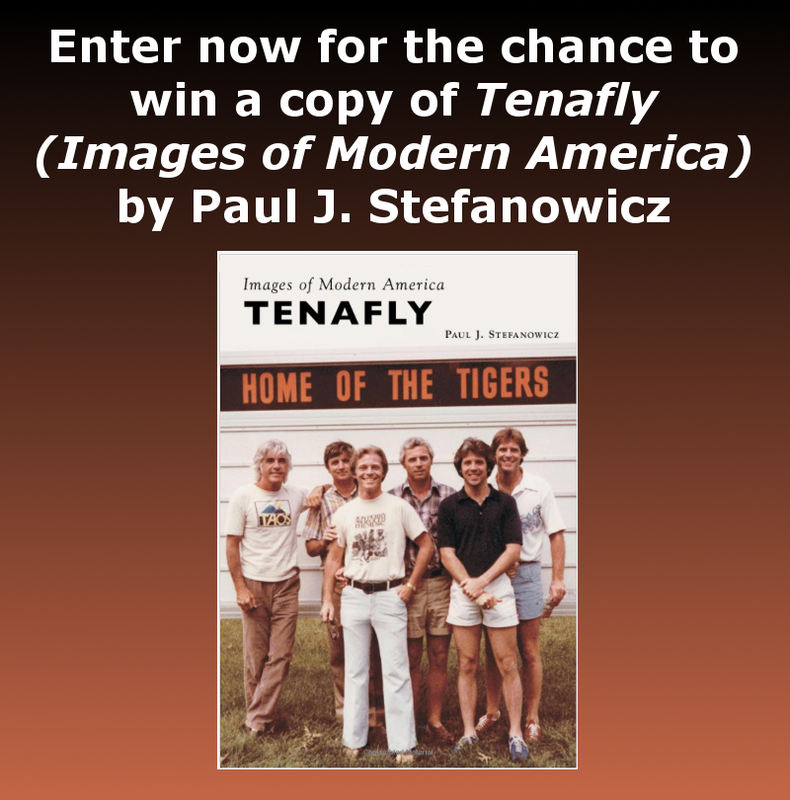 "Tenafly (Images of Modern America)" May 2017 Book Giveaway ~ The History Girl! Thanks to author Paul J. Stefanowicz and Acadia Publishing, The History Girl is offering one copy of his book Tenafly (Images of Modern America). In order to be in the running, submit your name and e-mail address below! Tenafly has evolved from an Old Dutch farming community with unique estates owned by businessmen, mainly railroad executives, into a thriving New York suburb. The borough has long been known for its excellent school system. After the Second World War, development grew through technology that allowed for building on Tenafly's hills, which enabled an affordable means of growth toward the Palisades. The area also increased in its desirability as a place for parents to raise children. As time passed, more opportunities became available for people of all ages to take part in recreation and school activities, enjoying the open spaces, parks, and town-wide events. Tenafly's popular yet changing downtown, with its local shops and eateries, is where generations of school kids and adults have gathered to meet. The number of houses of worship has increased as diversity has been embraced by the community. Tenafly has developed as a town but boomed as a community with diverse interests and tastes. *One entry per person. *Valid for all residents of the 50 United States of America, 13 years of age or older. *Entries without a valid e-mail address are not eligible. *Contest begins May 14, 2017 at 6:00 pm EST and ends May 20, 2017 at 8:00 pm EST. *The winner will be chosen at random. *The winner will be notified via e-mail on May 20 2017 after 8:00 pm. The winner must respond with a mailing address within thirty-six (36) hours or another winner will be chosen.